Running a small business is both exciting and rewarding. But keeping up with all the latest employment laws can be complicated. The last thing you want to do is put your business at risk by making a mistake that could result in costly legal fees or fines. 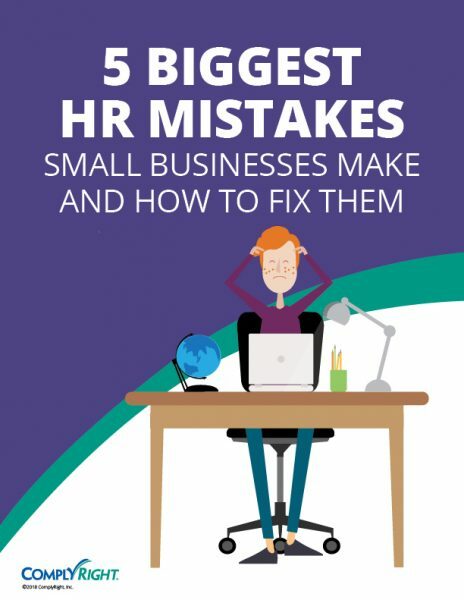 In this e-guide, we’ll take a look as these 5 common HR mistakes and cover why these laws matter, how to identify whether you have a potential problem, and what immediate steps you can take to address them.